If you love orchards and the delicious fruit within them as much as we do, you may have never seriously asked yourself why we should plant and nurture orchards but it turns out there are lots of great reasons justifying orchards should you ever encounter an unbeliever. Along the way, many customs and traditions have developed, as have thousands of different variations on Malus domestica, our well known apple, each cultivar with its unique flavour, texture, use and story, linking people to place and heritage. As orchards the isle over were grubbed up, unique varieties along with the skills used to produce them were lost. Now most of the world’s commercially grown apples all come from just four or five parent varieties. Luckily though, in recent years, community orchards have had a renaissance as people rediscover the benefits and pleasures of growing fresh fruit from trees. Once a tree is established, it can provide a large yield of fruit year after year for decades, requiring little human input when compared to the growing, planting, weeding, watering, pest control involved in annual vegetables. As a deep-rooted, long-lived perennial, the tree has time to adapt to local conditions and be more resilient. By working with nature, and not against her, we can create healthy, diverse and resilient systems, while reducing our impact on climate change and environmental degradation. Orchards provide vital green spaces in our cities and towns, where people are encouraged to interact with nature either through becoming custodians of the trees or by simply being around them and enjoying their shade, beauty and fruit. Some areas of our cities have become ‘no grow zones’ or ‘food deserts’: where fresh, quality fruit and vegetables are hard to find. Sedate lifestyles and poor diets have led to rising rates of diabetes and obesity. Fresh, nutritious fruit and the activity involved in growing and harvesting has to be part of the solution. Orchards offer a space to learn from each other and nature, and a place in which training of traditional skills can occur, such as pruning and grafting. And a place for celebration of diversity, nourishing fruit and the trees that provide it. Whether wassailing, blossom day or apple day, the orchard offers much scope for celebration while at the same time helping us re-tune into the shifting seasons around us. 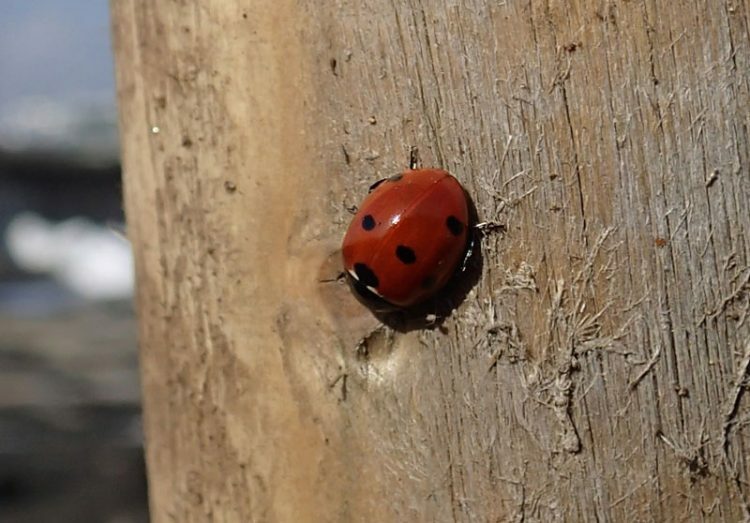 Orchards invite nature into the urban environment and provide a refuge in which it can flourish; in our schools, housing estates, parks and commons, improving human wellbeing and making our cities more pleasant places in which to live. 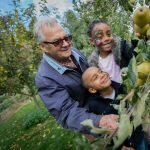 Arguably, community orchards have never been more important. They provide the setting for encounters between urbanites and the natural environment. They are where young and old, rich and poor of all backgrounds can roll up their sleeves and work together or put their hair down and enjoy the harvest. So if you want cities that are sustainable, rich in biodiversity, socially cohesive and scrumptious, let’s get digging!